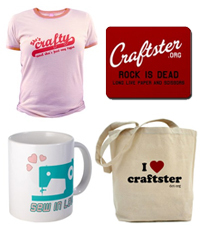 Craftster Community > CRAFTSTER CRAFT CHALLENGES > Craftster Craft Challenges > Craft Challenge #124 - Craftster Rocks! - Entries Due Aug 1 - 8 - BONUS PRIZE! Have you ever been the recipient of a RAOK (random act of kindness), or perhaps stumbled upon a painted rock along your journeys? Didn't that one little moment just feel amazing? Let's spread more of those moments! 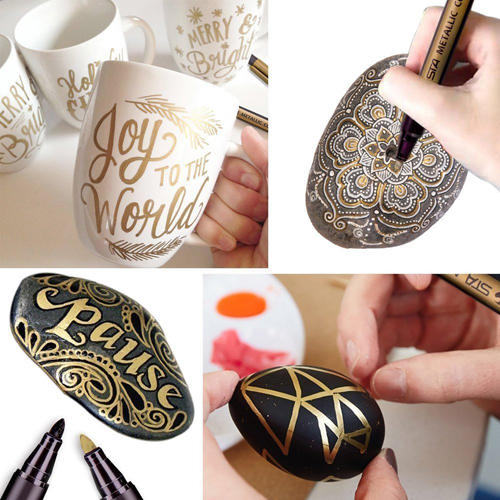 This month, we are rockin' it out and challenging YOU to paint and hide a rock! We're going to be spreading creativity and joy all throughout our communities and travels. The challenge is simple, really! Find a rock. Paint it. Label it with #CraftsterRocks. Hide it. If you create a set of [obviously] themed rocks, you may enter the entire set as one entry. The minimum requirement is just to paint and hide one rock, though! Your entry must contain a photo of your painted rock. If you want, you can include in progress photos or even a photo where you've hidden it, too! 1. Always be mindful of the environment and respectful of the community guidelines that already exist. 2. Seal each rock thoroughly. Do not add or attach anything other than a securely-adhered label, as trinkets and attachments can pose littering and choking risks for animals. Many use Mod Podge for attaching the labels to the back, followed by spray sealing the entire rock with at least two coats. 3. Do not hide rocks in national parks, state parks, or on private property. 4. Craftster, Pinterest and Facebook are great places to find inspiration for colorful creations and creative messages. We've created some printable sheets of itty bitty labels, if you need one for the bottom of your rock. You can always just paint or use paint marker on the bottom of your rock instead of attaching a label, too. Totally up to you! These PDFs print on standard 8.5x11 printer paper. Print which size you need, cut out a label and attach it to your rock. Most people use Mod Podge or craft glue to adhere it prior to sealing the entire rock. Sometimes when people find rocks "out in the wild," they take a photo and share it on Facebook with the rock's hashtag or group. 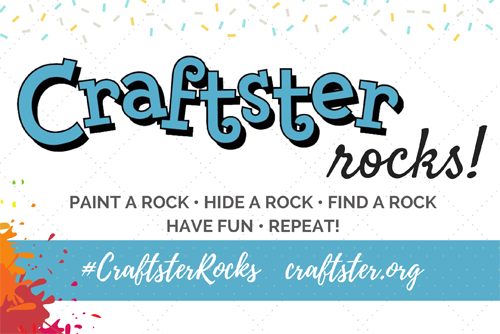 If you want to join a group for #craftsterrocks, we've just created it here! Craftster Rocks #craftsterrocks group on Facebook. Just request to join and myself, kittykill or rackycoo will get you added! Craft your project during this challenge period (July 2 - August 8, 2018) only. Projects created before this timeframe will be excluded from the voting poll. Post your craft during the period of August 1 - August 8 2018. No sooner. No later. On August 2, there will be a special folder created for entries. We will reply with the folder/board link here on this thread. Voting will happen from August 13 - 20 2018. (3) this Craftster prize (winner can receive prize in U.S. or non-U.S.): Their choice of any one item from one of Craftster's online shops! (4) This month's bonus prize is a set of permanent metallic markers! Water-based, quick-dry, acid-free and non-toxic ink. 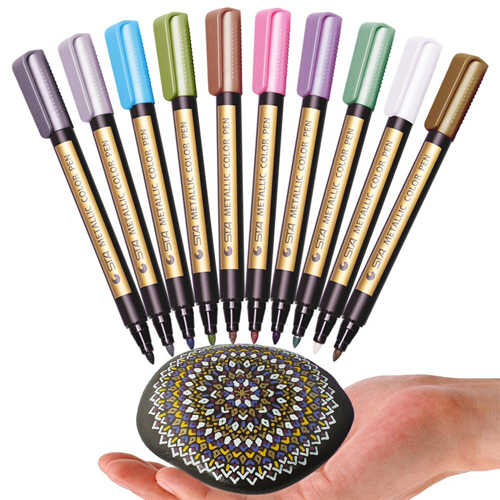 They're perfect for painting rocks, art mugs, designing ATCs, scrapbooking and more. Re: Craft Challenge #124 - Craftster Rocks! - Entries Due Aug 1 - 8 - BONUS PRIZE! Ok, so I went to one of my local beaches to get some rocks. They were too tiny. If clam shells could be used for this, I would be in luck! So I went in my backyard and had more luck-the idiot landlord tore it up and all the bigger rocks were unearthed. I couldn't wait to get started so I have already rinsed them and have them sitting in a bowl of water with dishwashing detergent. I'll rinse and boil them and then start to paint! BTW...Michaels has a set of paint markers for only $8! My zombie gnome was a 2013 Featured Project, my KISS gnomes were an Aug. '14 Featured Project, my TARDIS was a Feb. '16 Featured Project, and my Grinch was a Nov. '16 Featured Project. Thanks for voting for them. Cool! I too have a yard full of rocks. We've been moving them from the back yard to the front, I'm sure I can find a few nice ones to spare for crafting . I have acrylic paints and a krylon crystal spray on glaze but the paint nearly always gets smudgy. Those are the things to use according to rock painting sites though, any idea what I'm doing wrong?